(Oregon Coast) – Well, it took long enough. But it appears that storm season is rearing its airy little head along the Oregon coast after an extra long bout of second summer. 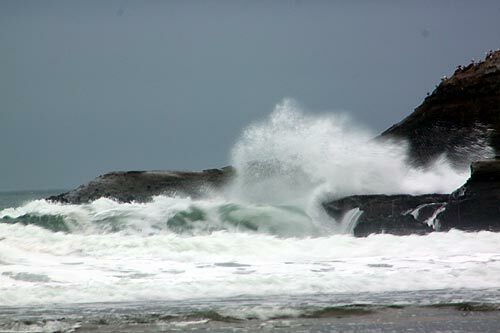 The National Weather Service (NWS) in Portland has issued a high wind warning from Tuesday through Wednesday, with the north and central coast areas kicking it up to gusts in the 60's. 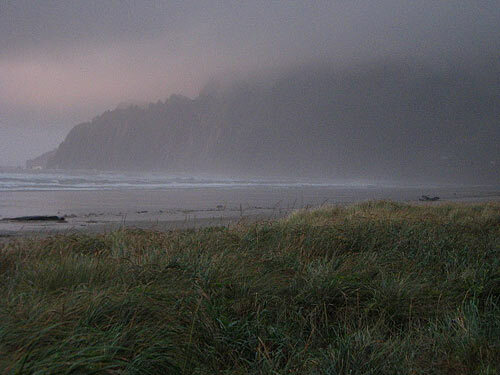 By Oregon coast standards it's a pee-wee of a storm. 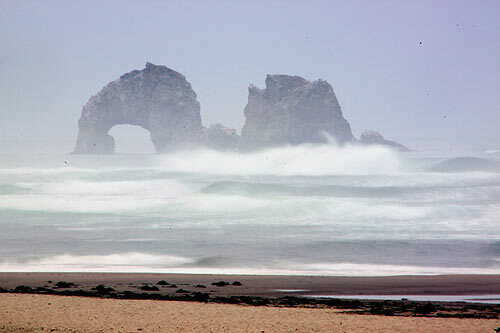 The NWS is predicting sustained winds in the 30's and 40's, with gusts up to 60 or so around the headlands and beaches. For coastal towns, it's going to be less of a scene-maker, with winds in the 20's and gusts perhaps up to 50 mph. It's all a bit pedestrian for coastal residents, but it will be a sight for travelers. Timing of the wind warning is from Tuesday afternoon through Wednesday afternoon. The warning was recently changed from a wind watch, the NWS said. None of this is good news for viewing the solar eclipse from the Oregon coast or other parts of Oregon on Thursday. See the Solar Eclipse article here. Weather looks to be rainy and cloudy that day all around the state, but depending on the thickness of the cloud layer, photographing the sun in such a state may actually be easier. The big hitch will be wind and rain, however. For the upcoming sizable wind storm, this warning is in effect for Seaside, Cannon Beach, Manzanita, Tillamook, Lincoln City, Newport and Yachats, among others. These conditions will impact safety on the beaches, the NWS said. “The winds will likely cause difficulties for beachgoers and those accessing beach and headland areas, including causing tree damage in headland areas,” the NWS said. 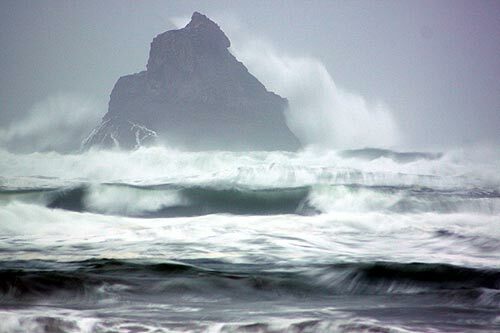 Some great suggestions for viewing Oregon coast storms here. 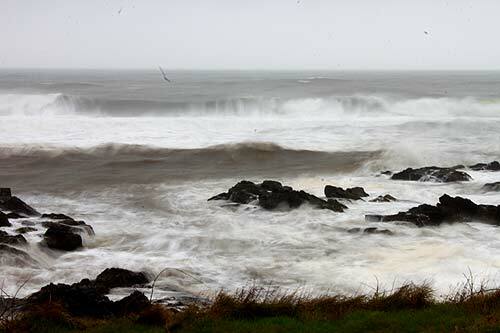 Another storm system may bring heavy rains to the inland and coastal areas of Oregon on Thursday and Friday, the NWS said.